Moneymaker went on to win the World Series championship bracelet and $2.5 million, igniting the spark that fueled an astounding three-year boom in the business of tournament poker. The combination of widespread television coverage (made possible by the invention of the "hole card" camera that enables viewers to see each player's hidden cards as the play of each hand progresses) and Internet poker, led millions of new players to enter the tournament arena, hoping to duplicate Moneymaker's success. The simplest way to measure the explosion in tournament poker in the United States is by the number of contestants in the annual World Series of Poker championship event. During its 33-year history prior to Moneymaker's win, the average number of contestants was 181. Three years after Moneymaker appeared on the David Letterman show to talk about his leap from small-stakes online player to world champion, 8,773 players put up $10,000 apiece to compete for the 2006 world championship bracelet and $12.5 million in first-prize money. The huge explosion in tournament poker generated a mass market for poker-related products and services. Poker books and television shows proliferated. My TiVo — which is set to record all shows relating to "poker" — used to record a few shows a week. Now it records dozens. For the last few years, Greg has been featured in PokerStars' television and print ads, encouraging the rest of us amateur players to indulge the fantasy that if we play on PokerStars and win a seat in the World Series, we, too, might be able to quit our day jobs, play poker full time and sign a lucrative endorsement deal with a company marketing to the expanding population of worldwide poker players. All of this came to a screeching halt last weekend, when an unexpected confluence of political events led Congress to stick a provision into a port security bill at the 11th hour — one that's designed to shut down Internet gaming in the United States. There were no hearings and no debate in the Senate, originally created by the Constitutional framers to be the "world's greatest deliberative body," where the potential passions of the mob as expressed by the larger, more populist House of Representatives, would be slowed down and moderated by the careful consideration intended by the rules of the Senate. But Frist could not move a bill through committee and onto the floor prior to the November elections. So he found a way to slide a provision into an unrelated bill designed to increase security at America's ports, without any hearings or debate. At the last moment, just before Congress recessed so Hastert and Frist and their colleagues could go home to campaign for re-election, the Senate passed the port security bill, including the Internet gaming provisions. The ramifications for players and for the business of poker are dramatic. Attendance at the World Series will probably drop by at least 50 percent. 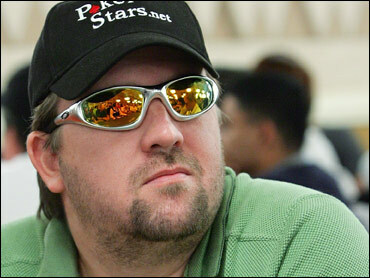 None of the tens of thousands of Chris Moneymaker and Greg Raymer wannabes will be able to win a seat at next year's World Series by playing online. The value of tournament purses will drop significantly, as will the value of player endorsement contracts. In sum, Congress will probably succeed in turning the clock back to pre-Moneymaker days, in terms of the size of the tournament poker market in the United States. A bad beat for the shareholders who invested in poker industry stocks. Harrah's, which hosts the World Series, will take a hit as will businesses that invested in the booming poker industry. Imagine if the federal government banned every form of activity that Congress deemed bad for us — smoking and drinking, for example. The last time they tried that, in Prohibition days, it was a fiasco. For now, I expect that a number of Internet "speakeasy" sites will crop up, looking to profit from the market that has been abandoned by the reputable sites like Party Poker and PokerStars. Players who send money to those sites and end up getting cheated will have Speaker Hastert and Sen. Frist to thank. I haven't thought about moving to Canada since Lyndon Johnson and Robert McNamara threatened to draft me to fight in a war I believed was wrong-headed and unjustified. Hastert and Frist may have finally pushed me over the edge. After all, how else can I become the next Greg Raymer?